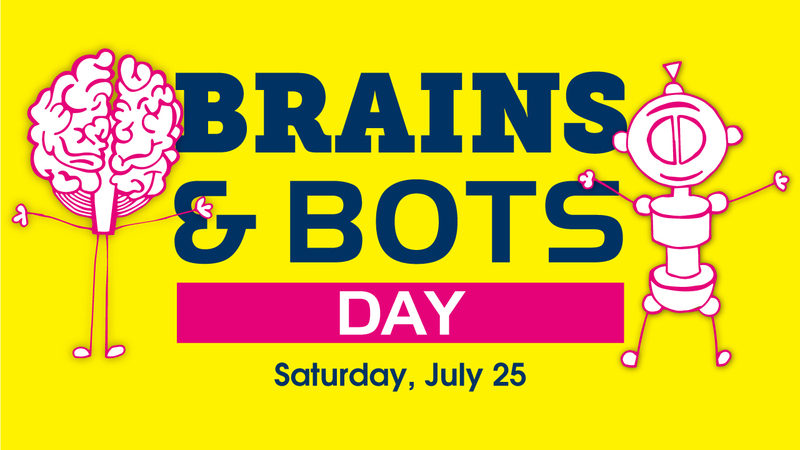 Brains & Bots Day will be one of Fernbank’s most interactive events of the year featuring extraordinary encounters with fascinating robots and opportunities to see real human and animal brains. Partners Robotic Explorers and Imagine That! 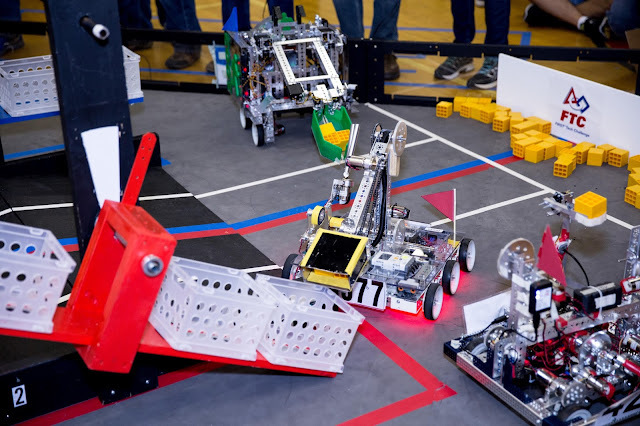 will conduct live demonstrations with LEGO® EV3 and NXT robots and show guests of all ages how to program these incredible machines. In addition, the Neuroscience Institute of Georgia State University will be back with the body’s most complex organ during “Touch A Brain!” This activity offers guests the sensational opportunity to examine the brain up close with researchers and experts. Other activities to combat summer brain drain include a “Build-A-Bot” craft activity, a cool collection of robot trading cards and brain-teasing games. Visitors can also take a stroll through the Museum’s special exhibition, Brain: The Inside Story and gain a new perspective of the mind through hands-on, minds-on activities including speaking a foreign language, examining the mind of a dancer during an audition, walking through a tunnel of firing neurons, discovering new ways to use their senses and much more. The day will include free giveaways while supplies last including robot trading cards from Georgia Tech’s Institute of Robotics and trading cards featuring the Robot film’s cast of characters, as well as stress-relieving squishy brains courtesy of Grady Health Foundation. Rounding out the Brains & Bots Day adventures, guests can catch Fernbank’s the new film by National Geographic Studios, Robots, in Fernbank’s IMAX® Theatre. Viewers will enjoy an eye-popping exploration of the world’s most cutting-edge robots. The film’s gentlemanly humanoid host and narrator, RoboThespian, gives a remarkable tour of a dozen superstar robots showcasing the latest developments in robotics and engineering. 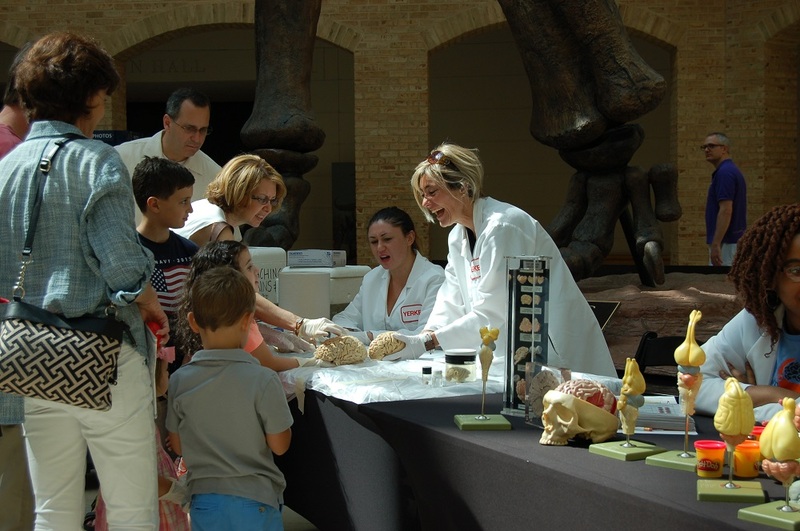 Brains & Bots Day is presented as part of Summer Fun at Fernbank, the museum’s family series of summer activities. All Brains & Bots Dayactivities, including the Robots film, are included with the purchase of Value Pass tickets. Value Passes include Museum and IMAX® admission and are $26 for adults, $24 for seniors, $22 for children ages 3-12, $8 for Museum members and FREE for children ages 2 and under. Fernbank Museum is located at 767 Clifton Road NE in Atlanta. Parking is free. For tickets and more information on the Summer Fun at Fernbankseries, please call 404.929.6400 or visit www.fernbankmuseum.org/visit-fernbank/summer-fun-at-fernbank/. Fernbank Museum, a 501(c)(3) not-for-profit organization, is one of the most popular and iconic cultural attractions in Atlanta, serving nearly a half-million visitors each year. Fernbank continues to serve as a school in the woods while fulfilling a mission to inspire life-long learning of natural history. Home to the world’s largest dinosaurs, Atlanta’s biggest IMAX® screen and one of the largest assemblages or urban Piedmont forest in the United States, Fernbank brings science to life through immersive programming and unmatched experiences that encourage a greater appreciation of our planet and its inhabitants.